F Scott Fitzgerald is best known for writing The Great Gatsby and Tender Is The Night, those magnificent novels of glamour, decadence and tragedy. He wrote other novels, short stories and letters. Meanwhile, his notes and lists collected ideas and impressions, ranging from the profound to the banal, including a list of thirteen ways to use up leftover Thanksgiving Turkey. 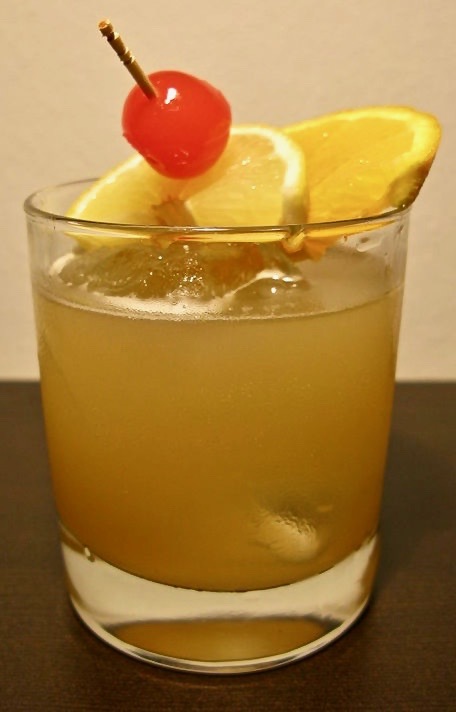 He was, ahem, more than well acquainted with alcohol, so it seems apt that the most striking symbol of The Jazz Age, The Cocktail, had already become a verb as well as a noun in his time. 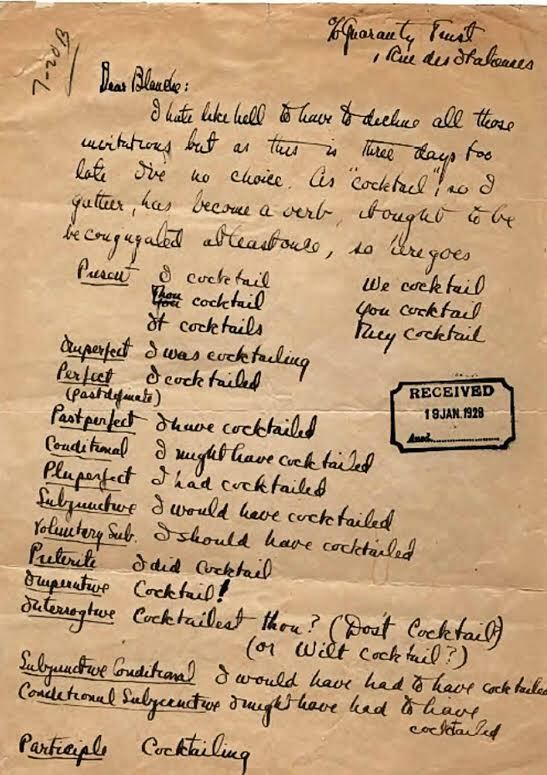 Perhaps only F Scott Fitzgerald could think about conjugating the word Cocktail when used as a verb. This is in a letter he wrote in 1928, to Blanche Knopf, the wife of his publisher. It goes like this. Present: I cocktail, thou cocktail, we cocktail, it cocktails, you cocktail, they cocktail. Perfect (past definite): I cocktailed. Cocktail as a verb isn’t included in every dictionary (though it is in Dictionary.com). Surely it’s about time it was? Finally, I’m told Fitzgerald shared Whisky Sours with Hemingway while in France. I suppose they were cocktailing. Genius.